Welcome to Jacksonville Pressure Washing Pro’s website. 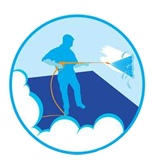 We are a Jacksonville power cleaning service. We clean residential locations as well as commercial buildings. We power wash to rid areas of grime and caked up dirt as well as restore the surface's natural look. Having your property regularly cleaned will help prevent built up algae and moss, which can lead to some nasty slips and falls, not to mention it, just doesn't look good. Our highly trained staff of professional power washers are ready to make your property the cleanest on the block. Why Hire A Jacksonville Pressure Washing Company? Got the Home Owners Association on your back for an dirty driveway or perhaps the siding of your home? Don't worry one call to us will take care of that problem. Or maybe you just want a nice residential pressure washing. Maintaining your buildings gutter system is important if you want to increase the life span and keep it functional. Give us a call for a quick gutter cleaning today. Our roofs care for us all year round, protect your roof like it protect you with regular roof cleanings. We utilize low pressure when washing roofs it's the safest and most thorough way! Attraction is key, grab your customers attention when you get an instant curb appeal boost with our pressure washing service. The better question to ask is what can be pressure washed safely. Due to the ability to change the pressure output of our washers we can safely wash just about anything. Our experienced crew has just about seen and washed it all. If you have, any questions ask our crew during the free consultation. Here is a list of our most requested areas to be cleaned. ​MAINTENANCE – Improves maintenance efforts by making your concrete easier to clean in the future. When we take you on as a customer we also take the responsibility of cleaning your home’s exterior to the best of our ability, we are not there for one job, we’re there to build a long-lasting client relationship through the quality of our work and customer service. We understand your property needs and will work hard to ensure you're completely satisfied. Simple we know. 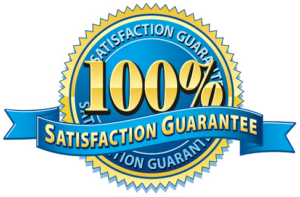 ​Get a quote and see why were the number 1 ​pressure washing company in Jacksonville fl.